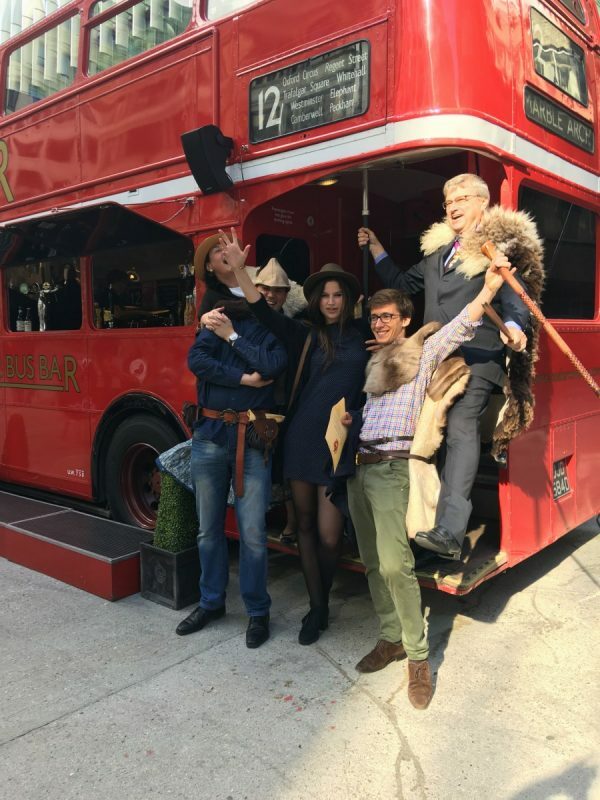 The Livery Fair will be returning to Monument on Sunday 29th September 2019 bigger and better than before. 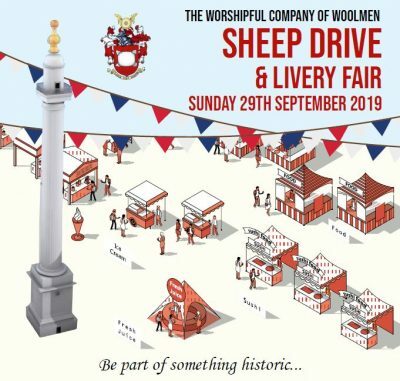 Unfortunately, due to unforeseen circumstances, the Livery and Wool Fair was not able to take place, but please look out for next year’s Livery and Wool Fair on Sunday 29th September 2019. 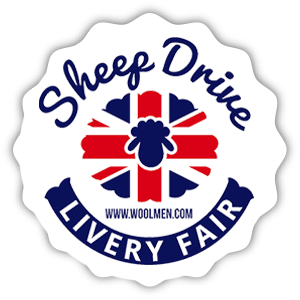 We will be very happy to work with you between now and then to make sure next year is a very special livery and wool event for all those involved. 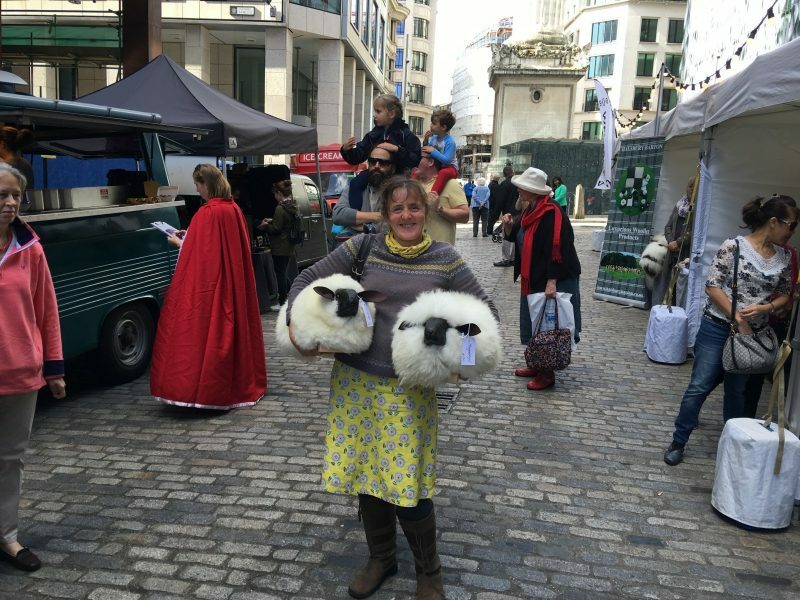 Taking place for the second year London Wool Fair 2017 is the perfect accompaniment for the London Bridge Sheep Drive. 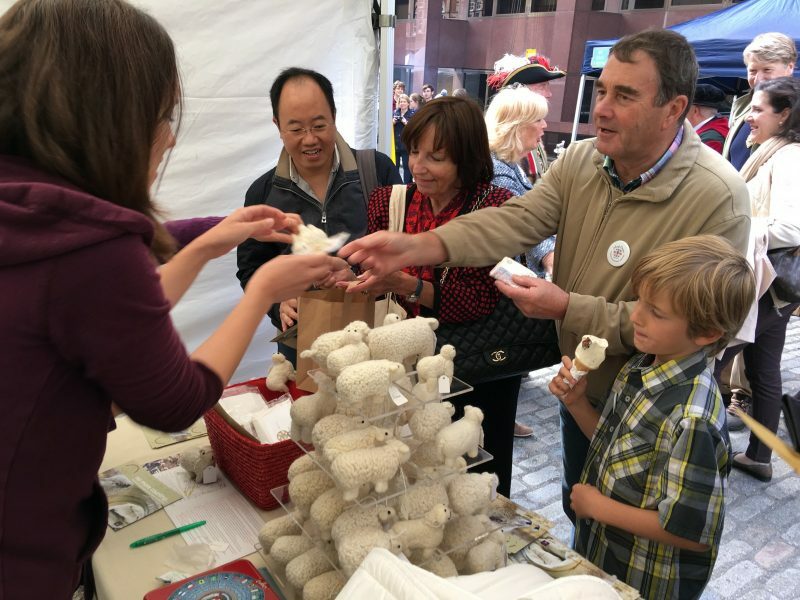 With over 50 stands selling a range of woollen goods, jewellery and luxury accessories plus artisan street food, craft ales, cocktails, ice cream, product-making demonstrations and live entertainment, the Wool Fair is a fantastic addition to the London events calendar. 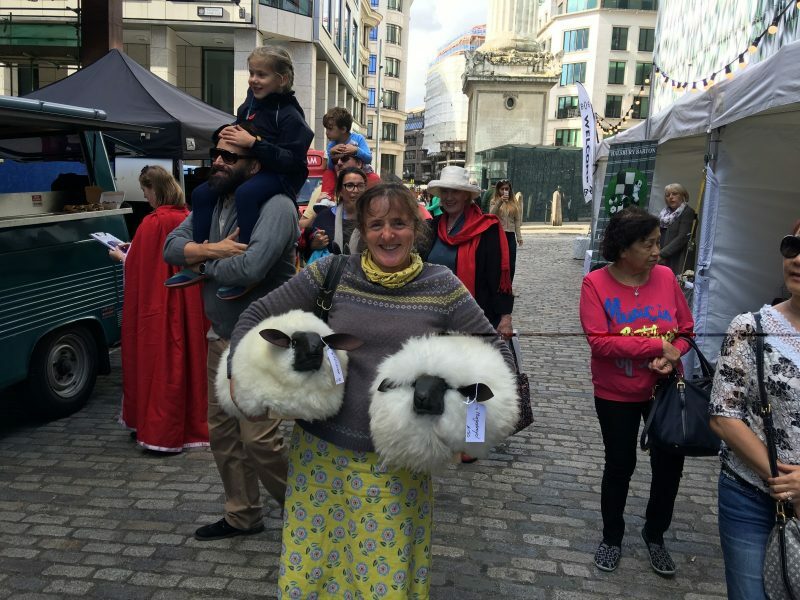 The Worshipful Company of Woolmen first arranged a Wool Fair in 2016 to add to the activities on and around London Bridge and to support the Sheep Drive. The McNair Mountain Shirt is made from merino wool, carefully processed to improve thermal efficiency and weather resistance. It is different from anything else out there, it’s also kind of an obvious, natural solution. It is made properly in Huddersfield which is world renowned for its woollen industry, and all the work to the fabric; the weaving, milling, raising and steaming is done within 10 miles of where they make the shirt. A traditional and principled approach to manufacturing in Britain and one simple aim. Make the best mountain shirt in the world. Gabrielle Vary Knitwear is a luxury British knitwear brand specialising in fashion and interior accessories. All Gabrielle Vary pieces are originals, designed, knitted and finished by hand to make each item absolutely unique. 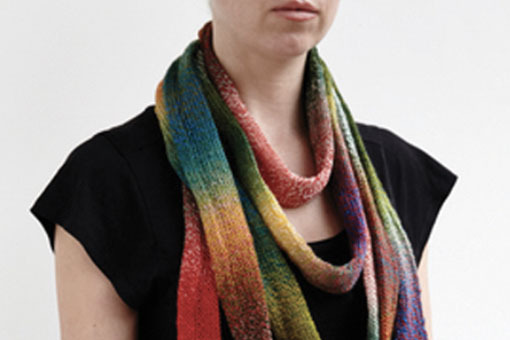 Working in her East Sussex studio Gabrielle designs every item herself, knitting them on a domestic knitting machine, then finishing them off by hand, sewing them into beautiful creations. Gabrielle uses only the finest British spun lambswool, to create the ultimate in luxury, design and feel. Marilyn Willis Creative Threads – Marilyn is creating fabulous handmade fashion accessories reviving hand embroidery combined with vintage fabrics, antique lace, buttons and personal memorabilia to create brooches, greetings cards and fabric collages, for a unique personal gift. 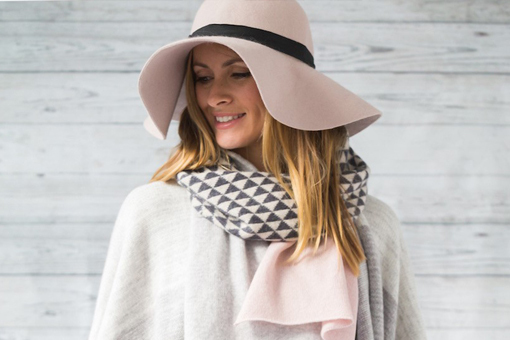 Henrietta knits and then felts lambswool and merino to create a vibrant range of clothes and accessories .Revamping the humble woolly &turning it into a truly stylish ‘must have’ perfect for banishing both winter and summer blues. Wools of Cumbria Carpets produces natural and over-dyed carpets and rugs from the wools of the Cumbrian sheep breeds Rough Fell, Swaledale and Herdwick. 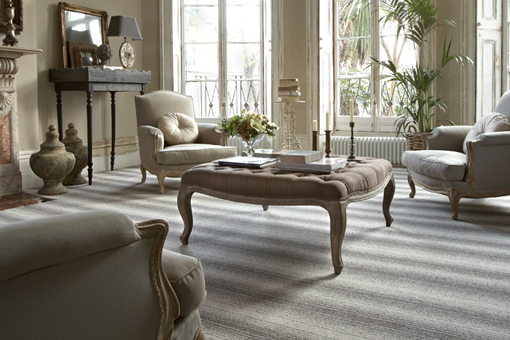 Our natural fibre carpets perform, give comfort and suit the health-conscious, eco-aware buyer. They are manufactured ‘from fleece to floor’ in small mills within 100 miles of the centre of Cumbria. We provide a complete, personal service to all our customers and can deliver to anywhere in UK. 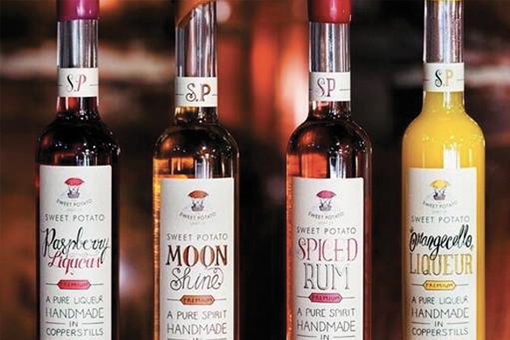 Using methods passed down over years and copper stills that could tell stories, they craft their sweet potato spirits and liqueurs in the manner of a Michelin-starred restaurant within the world of distilling, grabbing as much flavour into the product with as much refined smoothness as is physically possible. The result is a joy of a drink that doesn’t burn, but cradles you as you reach for another sip. Madame Gautier is a family run business, which, with our classically trained team of chefs, produces freshly made dishes from regional French recipes that have been passed down through generations. We use high quality produce sourced, wherever possible, directly from small producers and farmers we work with. Over the years we have grown in popularity but our values, quality and passion remain the same. 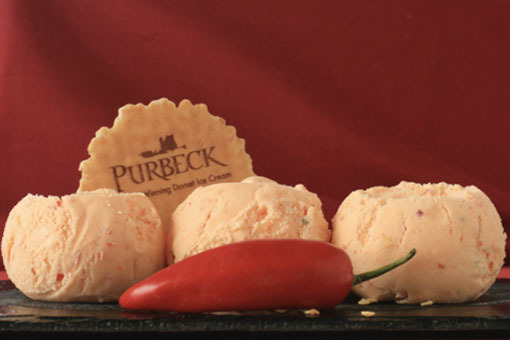 Purbeck Ice Cream brings you their award-winning ice creams and sorbets, farm made in the heart of Dorset. They use fresh Purbeck milk, thick Dorset cream, British sugar and an abundance of natural ingredients with no artificial anything. They source the best quality whilst providing a point of difference, exceptional taste and service. Their delicious flavours range from the sublime Vanilla Bean and addictive Salted Caramel to the radical ChilliRED! Halsbury Barton is the home of Halsbury Barton’s Jacob sheep in beautiful North Devon. 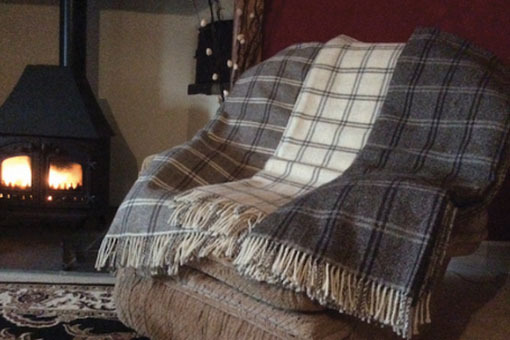 The Jacobs are a very attractive breed of sheep and with their distinct colour of wool Halsbury Barton have spun and woven into throws, cushions and scarves, which come in different sizes and patterns and all natural colours. From this year’s shearing they had the wool processed into knitting yarn in white and brown and have been busy knitting new items. Romney Marsh Wools is unique in linking tradition with a highly desirable modern product that reflects the romance and history of the Romney Marsh. 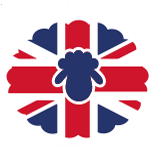 They are passionate about promoting all the benefits that wool brings and they are here ‘To be the leading UK provider of high quality, sustainably produced home-grown wool by making Romney Marsh Wools the chosen brand. 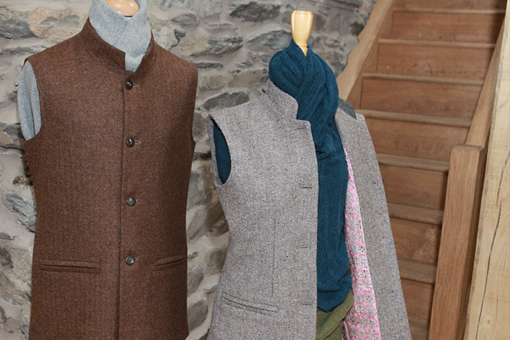 Charlotte Chaplin Tweed was created out of a love of tweed and from a desire to find a use for their fleeces. 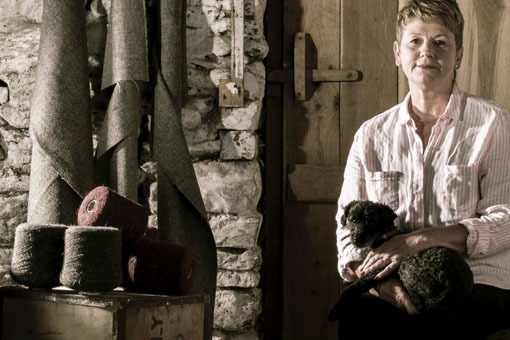 From their family farm in the Lake District they take the Herdwick fleeces at clipping, sort them by colour and send them to Yorkshire to be turned into a wonderful and unique tweed for interiors and clothing. 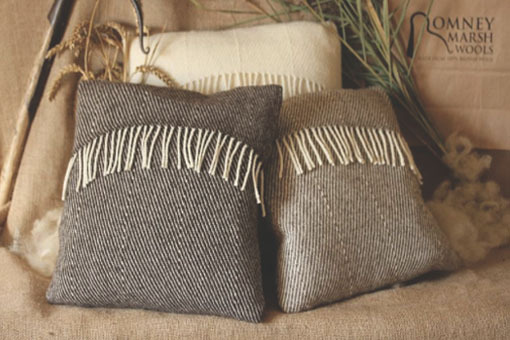 This is an entirely natural, undyed product that will enhance any home or wardrobe. It is British made, durable and beautiful. Slug Gone – A firm favourite with environmentally-conscious gardeners. 100% natural, Slug Gone organic wool pellets are completely biodegradable, Soil Association approved and part of the Campaign for Wool. 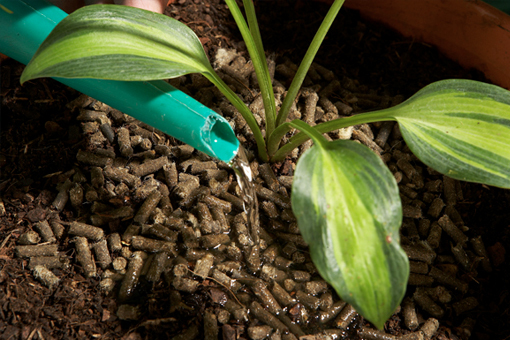 When watered the wool pellets form a felt – like mat that slugs cannot cross. The ideal and safe way to protect valuable plants from damage. Knitwear designer Layla Chelache creates unique, colourful textile pieces to dress up any outfit or just to keep you warm. 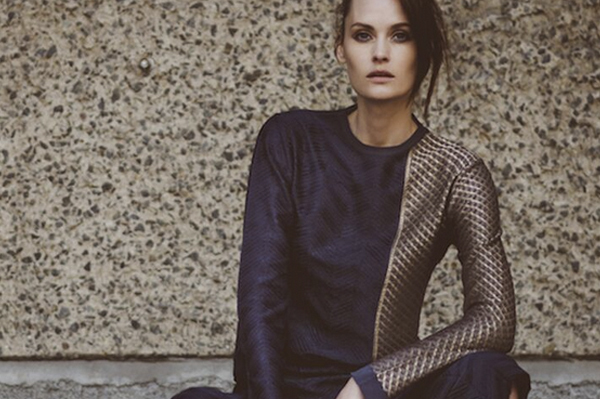 The designs reflect her love of colour, texture and sculptural forms. Using the very finest materials, from Scottish cashmere to Italian silk and linen, each scarf, hat or glove is made by hand, on vintage industrial knitting machines in CHELACHE’s London studio. These special knits make a great addition to any wardrobe or the perfect gift whatever the occasion. 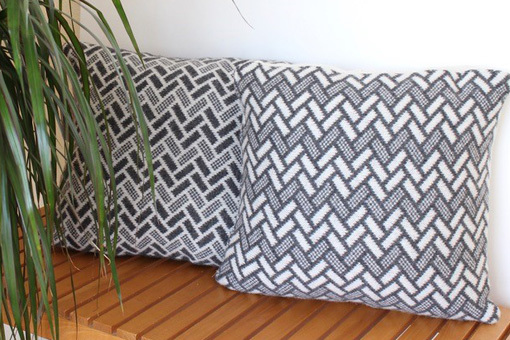 So Cosy is a designer-created range of bespoke blankets, throws and cushions, produced in the finest quality of natural un-dyed wool. 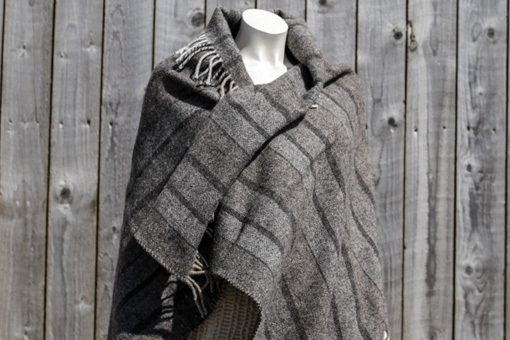 Their range is designed in Britain and all their wool is sourced ethically from the highest grade suppliers. It started as a small idea…could a bright orange shepherd’s hut change the way we think, behave and react to hill farming and how might we encourage people to bring the best of the past into the 21st Century by demonstrating what’s possible? How could reviving hill farming and ensure our wool industry has a thriving future? OneHutFull soon became a much bigger mission! Taking us on a journey through the past, present and future and using hill farming on Dartmoor as a conversation starter. 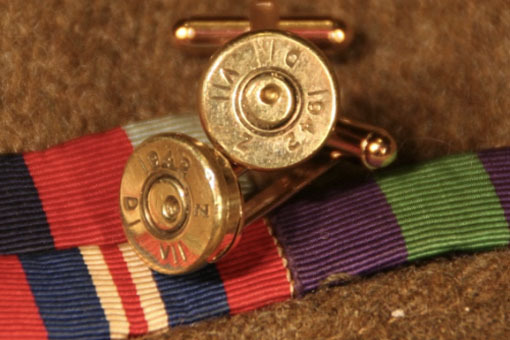 Handcrafted in Hampshire, gentlemen’s cufflinks, dress studs, tie pins, and ladies necklaces, earrings and bracelets made from recycled shotgun, rifle and pistol cartridges. Bespoke items can be made to order using own cartridges, choice of stones and personalised sizing. 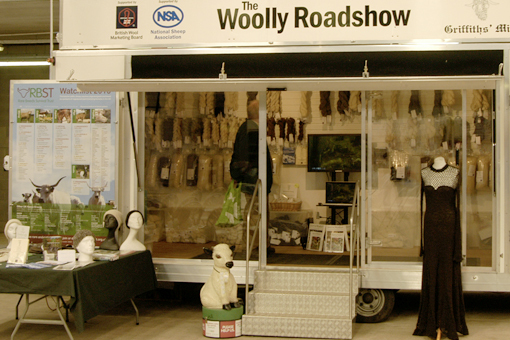 ‘The Woolly Roadshow’ is an educational promotion of British wool, British sheep and the Rare Breeds Survival Trust. 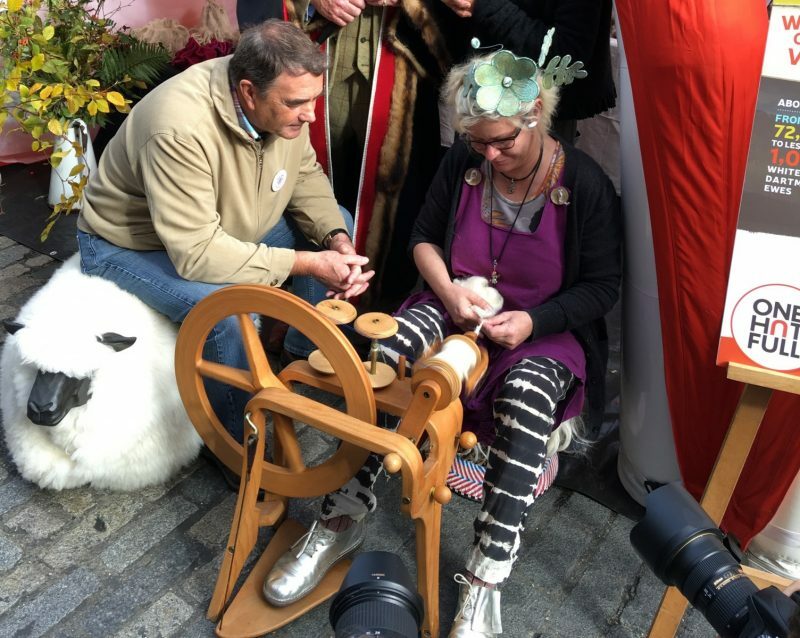 It includes a range of British yarn, carded fibres and other woollen products, hand spinning and/or felting demonstrations and information about the National Sheep Association, British Wool and Rare Breeds Survival Trust. Innovative wool based products are also on display. A video shows lambing, shearing and wool processing. 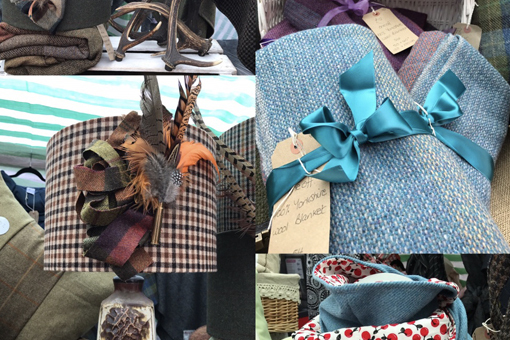 Tweed with Provenance, Created in Cumbria. Using fleece from the pure bred Herdwick sheep of Lake District National Trust Farms. We have woven tweed in the natural shades of this unique breed. Our bags are hand cut and hand sewn in Cumbria. Stylish and contemporary in design. 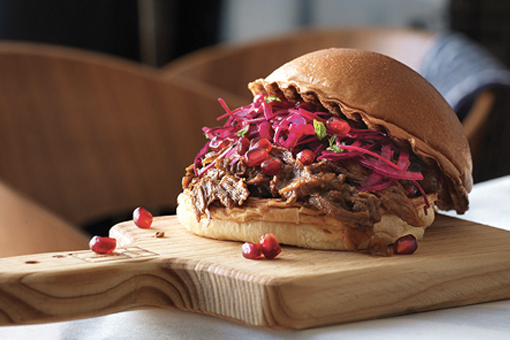 Pulled is all about experiencing tempting and delicious pulled meats (so much more than just pork!) with flavour packed, fresh slaws and homemade sauces, served in a handmade brioche bun. We pride ourselves on using only the finest ingredients, including only UK bred free-range / native breed meats and buns from a local family bakery. 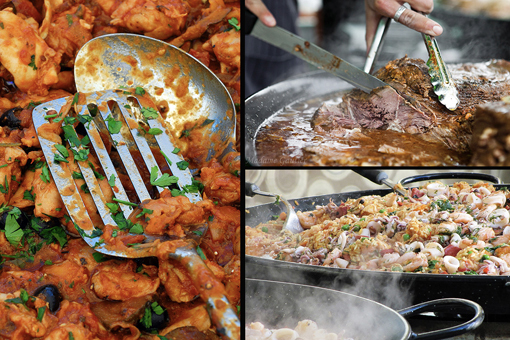 Trading since October 2013, Pulled has established itself as a renowned street food operator, with a product that customers keep coming back for. 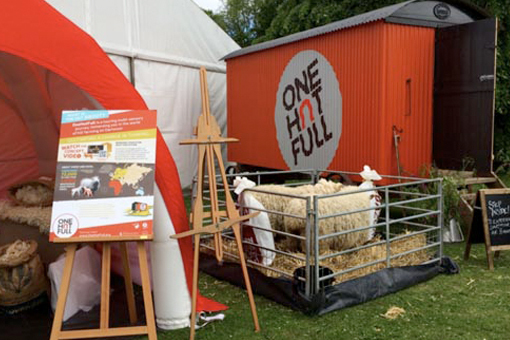 Our on-line / pop-up Fernhill Fleece & Fibre shop enables us educate visitors whilst sharing the messages from our multipurpose flock supplying nutrient dense meat and fine wool products. With full traceability and transparency, we offer a wide range of products from spinning fleece, weaving fibres, felts, and ready to wear garments. Suzy Bonomini has established a reputation with a look that is informal yet elegant and feminine; her light, soft knitwear is comfortable to wear all year round whether casual or smart, expressing her love for natural fabrics and slow fashion, and an ethos for local craft rather than mass production. Sewing has been in my family for 4 generations, the hereditary passion and fiery influence was kindled at a very tender age of 5 when I was first taught to sew. I have always been inspired by different cloths, textures, weaves and colours all collectively creating a clash of normality. I try and use as much home-grown fabric as possible, British, Scottish and Irish 100% wools are some of the finest in the world, quality cloth wears well and speaks volumes Every piece is handmade by myself, I cannot produce on mass, or try to re-create an exact item, this gives each piece a unique individuality and we all like something a little different. 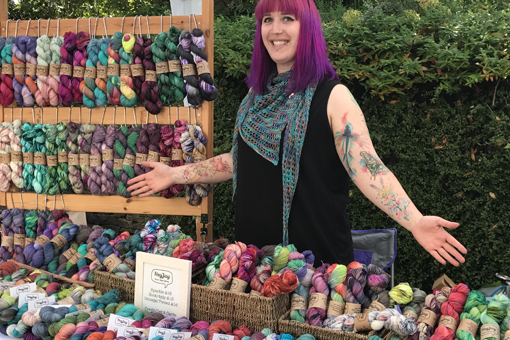 Siobhan is a passionate fibre artist and produce a variety of products from hand dyed spinning and weaving supplies to hand spun / dyed yarns and weaving kits to make your own unique dream catchers. Siobhan loves to work from scratch so most of her products come straight from the sheep’s back. 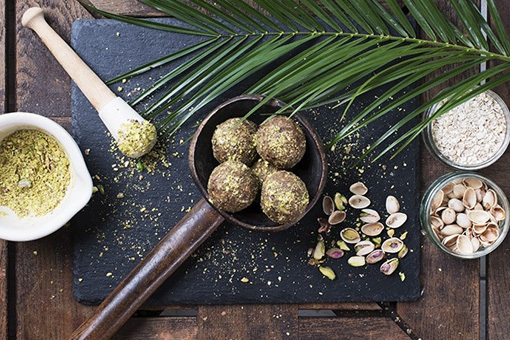 A love of good coffee and healthy lifestyle choices kick started OATOPIA . Supplying organic gluten free porridge and a myriad of homemade flapjack varieties , fresh fruit smoothies and freshly ground coffee, it is a one stop destination for indulgent moments and energy replacement. Spinspired is a husband and wife team from rural Norfolk, producing a wide range of fibre related materials and equipment, from hand prepared fleece, hand spun and hand dyed yarns, exclusive knitting patterns, kits, garments and accessories, to a wide range of hand crafted spinning and weaving equipment. At Rupert’s we create delicious vegan food that is good for you and the planet. 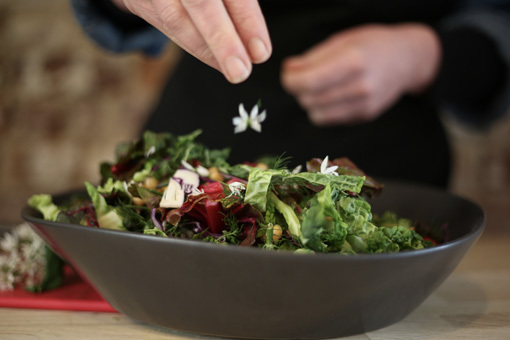 Our menu is global inspired by our travels and led by the changing seasons, we source our ingredients from organic farms from around the UK, but mainly Kent. We delight in offering an inclusive menu that caters to many dietary needs, such as gluten-free and nut free. 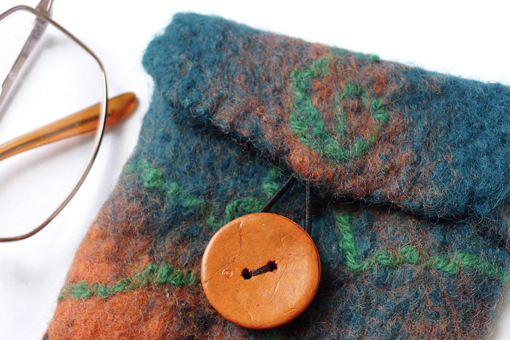 Emma Bevan, FfolkyFfelt: My work is created from Welsh/British, responsibly sourced wools. I love to combine traditional skills with contemporary designs. 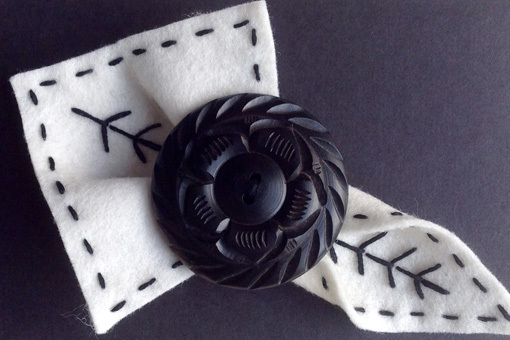 With felt-making I explore my relationship with nature, immersing myself in its tactile and soothing processes. As a qualified tutor and artist, I also love to teach, running many workshops and courses. 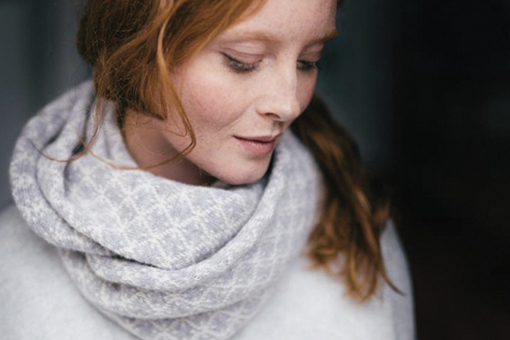 Oubas Knitwear is a British knitwear brand founded by designer Kate Wilson. Their products are produced either in house by them in their Cumbrian workshop, or together with Scottish knitwear mills. 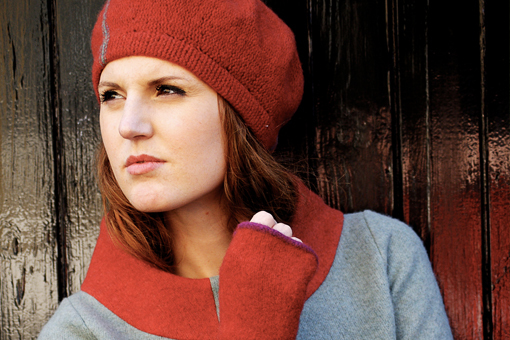 Kate founded the brand from a passion to keep manufacturing in Britain, and for using high quality wools and other natural fibres within her knitwear. 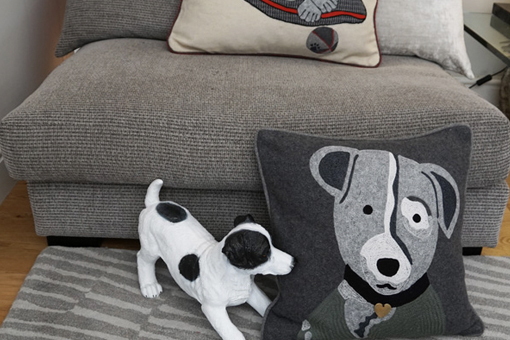 The range includes accessories, clothing and homeware. 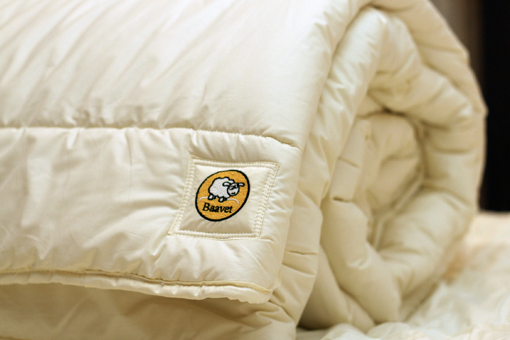 Here at baavet we are manufacturers of wool duvets, pillows, mattress toppers and natural fibre mattressess. 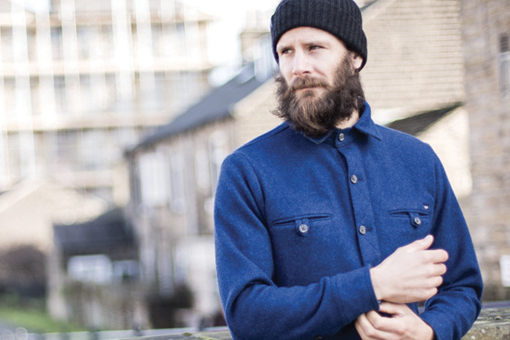 All made in the UK with 100% British wool. 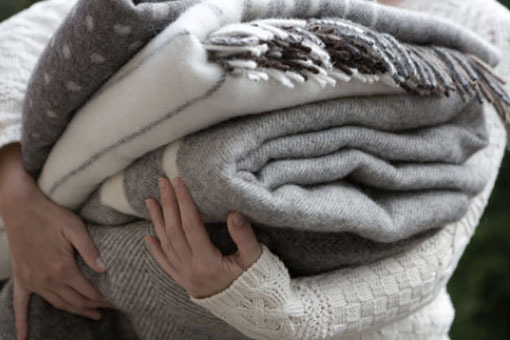 Wool is perfect for duvets because it is anti bacterial and anti dust mite. It wicks away moisture and is a natural regulator so enables quality sleep for those sleeping under it. 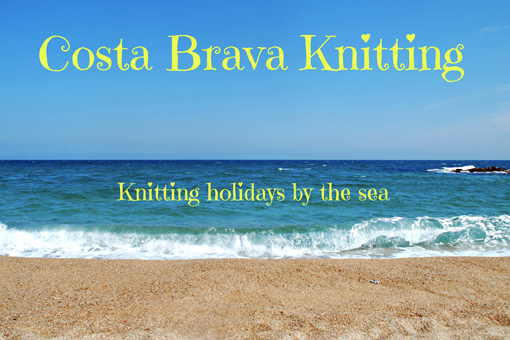 Costa Brava Knitting offers small-group knitting holidays on Spain’s Costa Brava. Based in a premier Spa hotel, guests knit on sun-drenched terraces and make new friends, whilst enjoying excursions to explore the very best of the rich history, Romanesque architecture, world-class gastronomy and natural beauty of this ancient land. 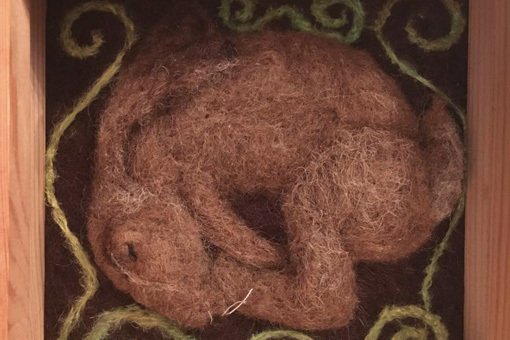 Light & Felt studio is a home of wet felting, fiber and paper art. I am using only best quality merino wool to produce unique, colorful accessories, funny bookmarks and pencils, vessels, felted soaps and decorations. I am making original hand painted paper lampshades too. Lovely and original presents for every occasion. 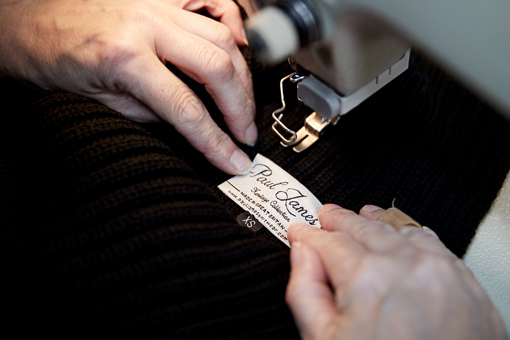 We are Paul James – a luxury, Leicestershire-based knitwear manufacturer. We shun man-made fibres, instead using only 100% natural fibre yarns. 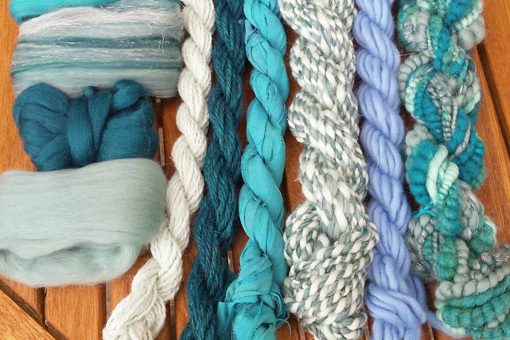 Evolved over thousands of years, our yarns are natures performance fabrics. We take these perfect yarns and knit them into stylish, functional garments that are made to last. Hobbywool is a family owned company from Riga, Latvia. 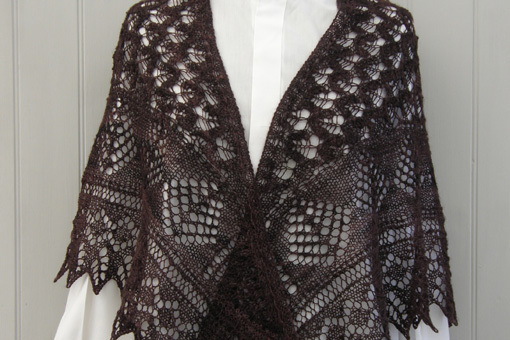 We love knitting and challenge you with – can you knit like a Latvian? 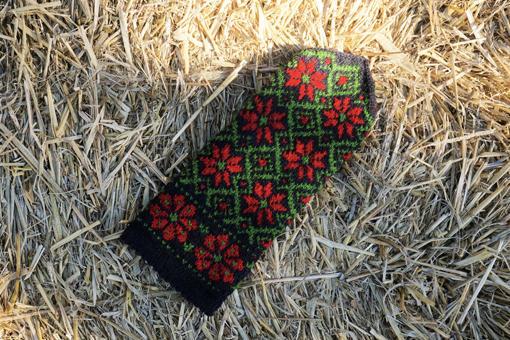 Find out with Hobbywool DIY Latvian mittens knitting kits – pattern, yarn & knitting instructions all in one. 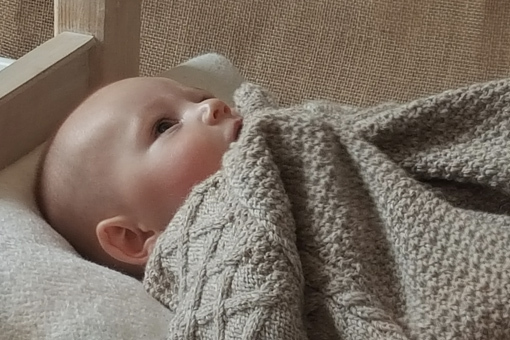 Moor Baby is a luxury baby knitwear brand. 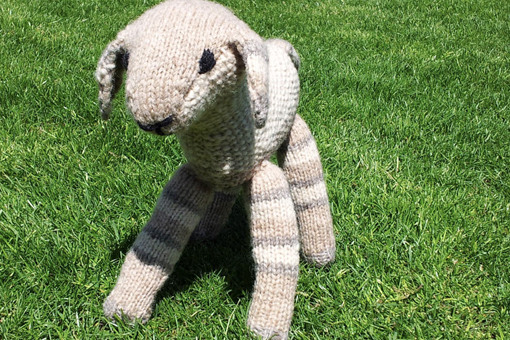 Made from Alpaca yarn our beautiful designs are super soft and skin kind, perfect for little ones! 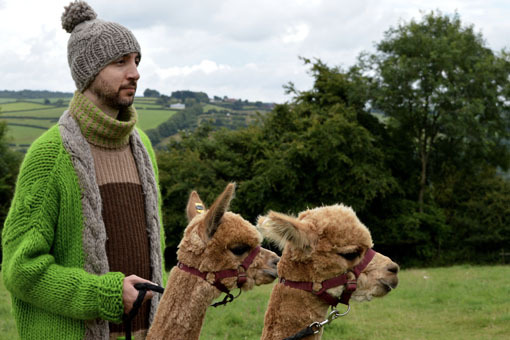 Brand owner Emma rears the Alpacas herself on our free-range, Cornish farm. We take great pride in using all UK companies to produce our garments. Genevieve Sweeney is a premium British knitwear designer, who has combined her passion for knitting with refined design, bringing a unique collaboration of sartorial silhouettes and luxurious yarns to the knitwear market. The brand fuses contemporary design with traditional techniques, which results in stylish, high-quality knitwear for men and women.